After leaving his commune in Oregon in November 1985 Osho returns to India, but in December of 1985 Osho's new secretary, his companion, his doctor, and other western disciples accompanying him are ordered out of India, their visas canceled. No reason is given by the Indian government for this unprecedented action except, "You are not wanted here." Osho leaves to join them in Kathmandu, Nepal, where he resumed his daily discourses. The discourses Osho gives during his time were published under the titles Light on the Path and The Sword and the Lotus. However, the Nepalese government soon refuses visas for his visitors and closest attendance, so Osho leaves and embarks on his world tour. His first stop is Greece where he is granted a 30-days tourist visa. He lives in the villa of a Greek film producer in Crete and starts to speak twice daily. Disciples arrive from around the world to hear him. The Greek Orthodox clergy threatens the Greek government that blood will flow unless Osho is thrown out of the country. Osho titles the series of discourses he gives while in Crete Socrates Poisoned Again After 25 Centuries. On March 5, 1986 police breaks into the villa and arrests Osho without warrant, staking him to Athens where only a 25-thousand dollar bribery moves the authorities not to put him on the boat to India. In the next two weeks numerous countries refuse to let Osho enter: Switzerland, Sweden, England, Ireland, Canada, Antigua, Holland, Germany, and Italy. 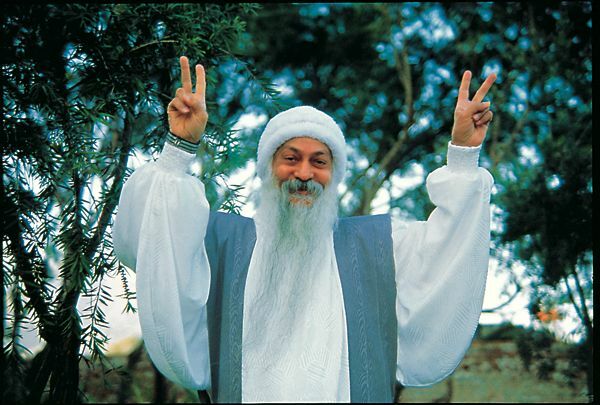 On March 19, 1986 Uruguay extends an invitation, and so Osho and his attendants fly to Montevideo. Uruguay even mentions the possibility of permanent residence. However, in Uruguay it is discovered why Osho has been denied access to every country he tried to enter: Telexes with "diplomatic secret information" (all from NATO government sources) mentioning Interpol rumors of "smuggling charges, drug dealing and prostitution" concerning Osho's circle preceded them to their prospective host countries. The source of these stories is found to be the USA. Soon Uruguay comes under the same pressure, but on May 14 the government decides to announce at a press conference that Osho has been granted permanent residence in Uruguay. That night Sanguinetti, the President of Uruguay, receives a call from Washington, DC, saying that if Osho stays in Uruguay, current US loans of six billion dollars will be called in, and no future loans given. Osho is requested to leave Uruguay by June 18. A day after Osho leaves Uruguay, Sanguinetti and Reagan announce from Washington a new US loan to Uruguay of 150 million dollars. The talks Osho gives during his two months in Uruguay are among Osho’s most esoteric discourses. They were published under the following titles: Beyond Psychology, The Path of the Mystic, and The Transmission of the Lamp. On June 19, 1986 Jamaica grants Osho a 10-day visa. Moments after he lands there, a US navy jet lands next to Osho's private jet, and two civilians descend. The next morning, the visas of Osho and his group are canceled, "for reasons of national security." Osho flies on to Lisbon via Madrid, and remains "undiscovered" for some time. A few weeks later policemen are placed around the villa where he is resting. Osho decides to return back to India the next day, on July 28. Altogether 21 countries either deported him or denied him entry. July 29, 1986 Osho arrives in Mumbai, India, where he settles for six months as a personal guest of an Indian friend. In the privacy of his host's home, he starts giving daily discourses and disciples from around the world arrive. These discourses were published as The Osho Upanishad, Beyond Enlightenment, and Sermons in Stone. On January 4, 1987 Osho moves into the house at the ashram in Pune where he lived for the major part of the seventies. He stays there until his death on January 19, 1990. Several of the printed discourse series covering his World Tour are no longer available. Osho Viha is happy to be able to offer all the series on MP3 CDs. Our March/April Viha Connection has only just hit the streets (or cyberspace) but is already getting rave reviews. Not only is the cover stunning, but folks are also loving the contents. 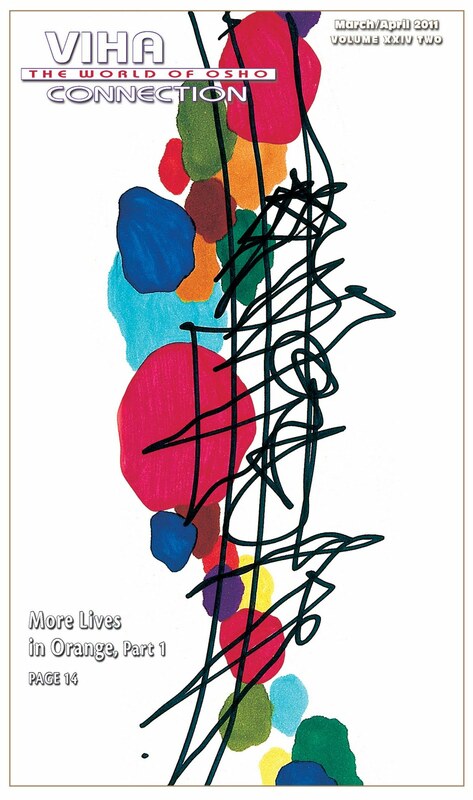 The Special Section, titled More Lives in Orange, focuses on folks who grew up in Osho's communes. In 2004 Tim Guest, aka Yogesh, published his memoir, My Life in Orange: Growing Up with the Guru. The book received a lot of attention, almost all of it negative about Osho and the sannyas community. There were talks of movie deals, until Yogesh died suddenly in 2009 at the age of 34. Critics claimed that Yogesh blamed his mother’s parenting behavior on Osho and the community, when, if fact, he lived most of his childhood with her outside of the community. In an article about her son’s death, his mother also seemed to blame her behavior on the community. For our two-part series we asked Yogesh’s contemporaries for an honest look at their own experiences growing up in the sannyas community as children. It’s possible that only people who enjoyed their experiences were motivated to respond, but our contributors have both honest criticism and deep-felt gratitude to share about their unusual upbringings. Many of them are now parents themselves, and they share how growing up in the community has influenced their own parenting experiences. Writers are Arvind, now a visual journalism instructor at the University of the West of England; Melania, a mother, social worker, and doula in Bodrum, Turkey; Madhav, an electrical engineer working in DVR technology in Los Angeles; Viyogini, a singer and event coordinator in France; and Urja, a devoted mother on the path toward freedom who lives in a satsang monastery in Germany. Other feature articles include a report by Nirdosha about his recent enlightenment, and a piece by Aneesha titled "The Alchemy of Celebration." There is also a review of Madhuri's book Love at Dancing Leaves by Prartho, obituaries for Navyo, Melissa and Rupesh, Bhagawati's very popular gossip column from Bali, Deepak's famous astrology column – and of course lots of wonderful Osho quotes. Does this sound tempting? You can subscribe for the printed or the online version on our website.